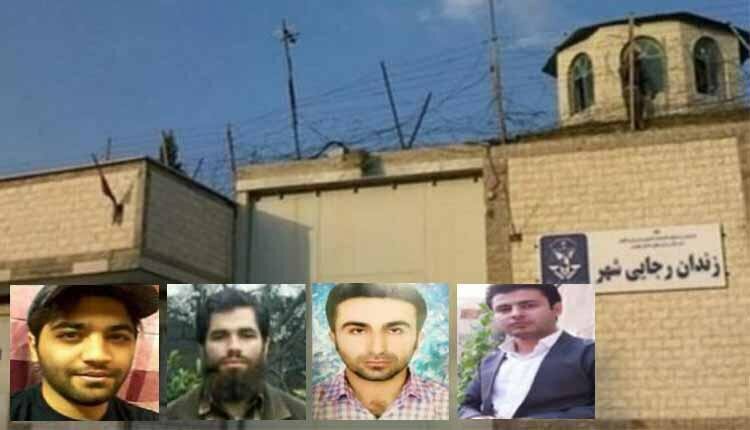 Prison guards, a number of Intelligence agents and prison warden attacked religious minority inmates in Raja’i Shahr prison in Karaj, Alborz Province. The anti-riot units used tear gas and attacked the inmates using batons. The legs of a number of the inmates were broken in this attack. This raid, taking place Wednesday morning on the order of the warder, Ziaei, involved units equipped with anti-riot gear and tear gas attacking Hall 21 of Ward 7 in this prison. Further reports on the attack against Sunni prisoners indicate hundreds of such anti-riot unit members took part in this vicious raid. In the first wave, a large number of anti-riot unit members equipped with complete gear entered the hall and began attacking the inmates. A second wave of these security forces were seen using special rifles to fire tear gas among the prisoners. According to sources, all of the prison’s known torturers, including interrogators, guards, prison deputies and anti-riot unit members were seen participating in the attacks. Prison authorities left the inmates to suffer and denied any medical care to the prisoners. Some of the injured inmates, suffering from broken arms and/or legs, were even transferred to solitary confinement and are currently said to be in critical conditions. There is no further information from these inmates. Seven of the inmates, all suffering from broken arms and/or legs, and with their hands and feet enchained, were transferred to solitary following the attack. According to Kurdistan Human Rights Activists the authorities conducted the raid after Sunni prisoner Towhid Ghoreishi, refused to apear in a court trial. Ghoreishi was transferred to Tehran’s Evin Prison on August 8 while only 11 months was left to his 5-year sentence. He is behind bars based on the bogus accusation of “propaganda against the state” and placed under interrogation in Ward 209. Ob February 5, Raja’i Shahr prison authorities thretened Ghoreishi to force him to attend court, but he refused.